Truly unique accommodation, secluded from the hustle and bustle yet close to Byron's centre and Belongil Beach. Bayshore Bungalows offer four different accommodation options. 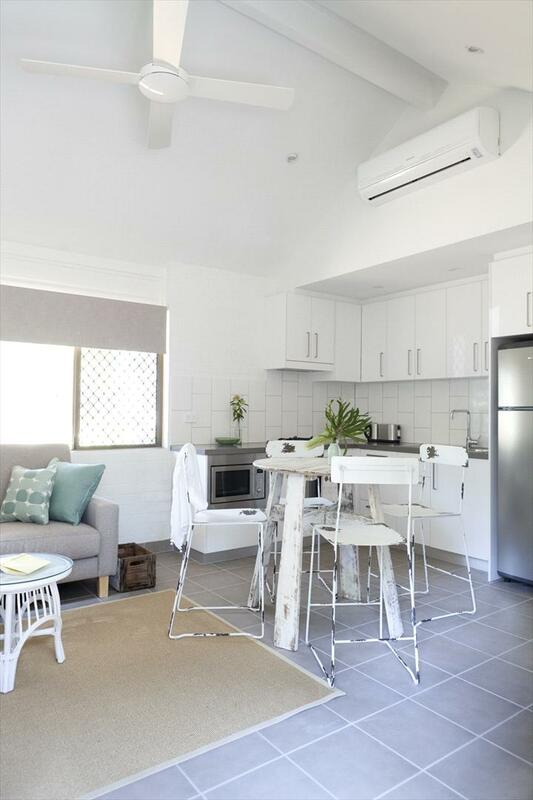 Each bungalow has been completely refurbished to provide a fully equipped kitchen, air conditioning, 40 inch LCD TV, Austar and free WiFi. Situated near central recreation facilities including a tennis court, swimming pool and barbeque area, all nestled within large sub tropical gardens. Each bungalow has its own courtyard allowing you to enjoy your morning coffee and newspaper, or sunset drinks in a private setting. 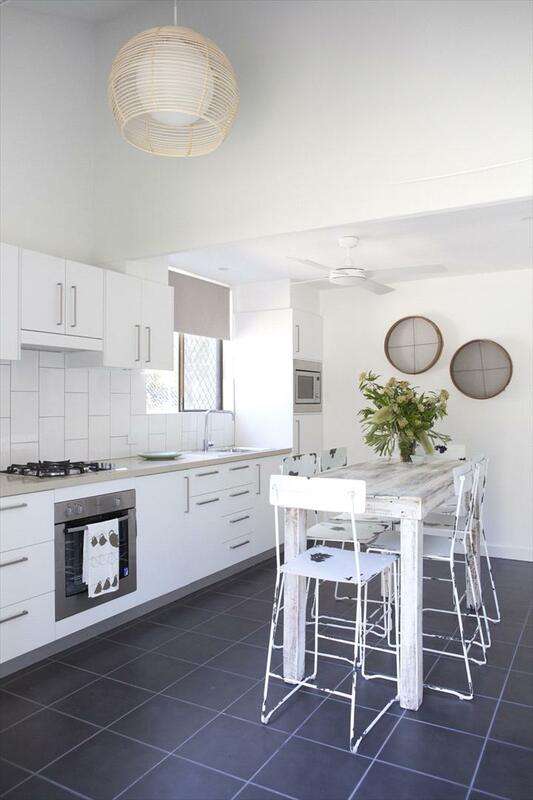 This Byron Bay accommodation is ideal for extended families and group bookings. Beautiful Belongil Beach is only a short stroll away, as is the Byron Arts and Industry shopping precinct. 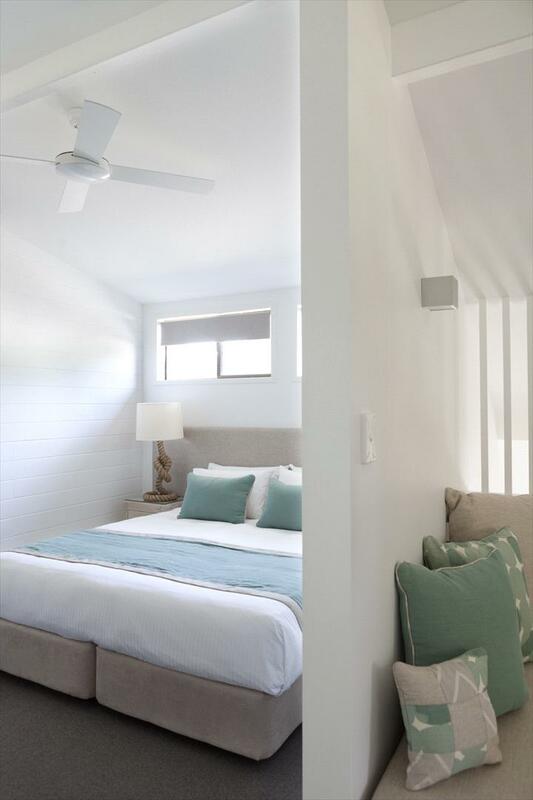 The bungalows are the ultimate Byron Bay holiday package. Belongil Beach is ideally located just 1.5km north of Byron’s town centre. The unspoiled white beach is only minutes walk from your holiday accommodation, while a 7 minute drive will find you in the heart of Byron. Belongil Beach is known for its relaxed and carefree atmosphere. Two Bedroom Deluxe Bungalow has separate dining and living areas with two large bedrooms on the second level. It is ideal for families or two couples sharing a relaxing getaway. Facilities include a large fully equipped kitchen and generous bathroom with separate toilet. Bedding configuration can be arranged as two king beds, one king bed and two singles, or four single beds. A trundle bed is available for a fifth guest at additional charge. The One Bedroom Loft Bungalow is ideal for couples or singles looking for a relaxing and affordable break. These bungalows have a loft style queen bedroom, full kitchen facilities with an indoor and outdoor dining setting for two and a bathroom. Maximum room occupancy is two. Two Bedroom Premium Bungalow is double storey and is perfect for your next family getaway. 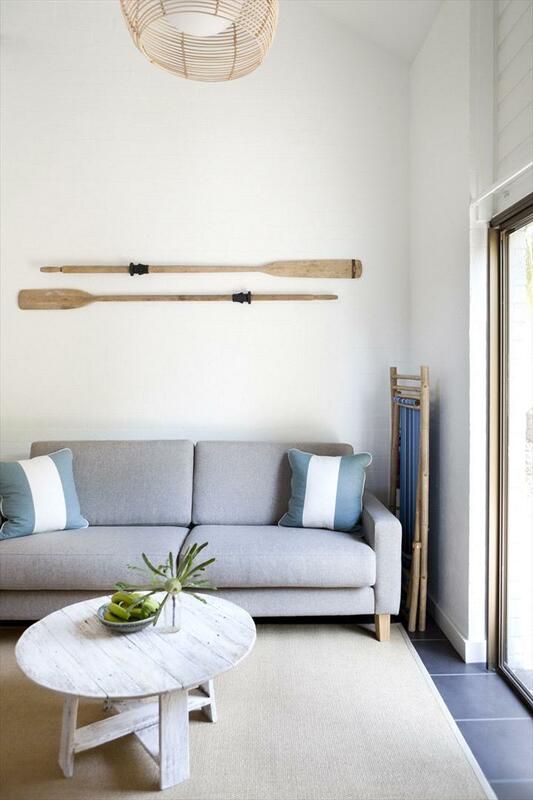 Parents can retreat to the upper floor living area and unwind in the plush reading sofa or cushioned daybed. These bungalows provide two separate living spaces, a large bathroom, fully equipped kitchen and courtyard with a four person setting. Bedding configuration can be arranged as two king beds, one king bed and two singles, or four single beds. Two Bedroom standard Bungalow is single storey and has a large courtyard. It has a fully equipped kitchen, one bathroom and an indoor and outdoor dining setting for four. It is ideally suited to accommodate a small family or groups of friends. Bedding configuration can be arranged as two king beds, one king bed and two singles, or four single beds.